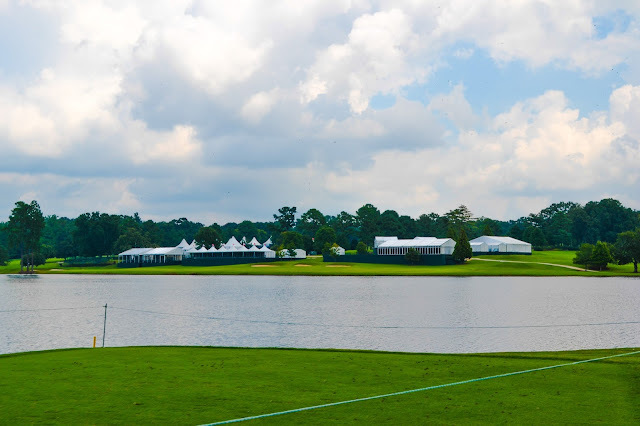 East Lake is not only the host of one of golf’s most prestigious – and largest – events, it’s also a world-class venue with an incredible history. East Lake itself, a sparkling stretch of water surrounded by forestland, was originally the site of an amusement park in the 1890s. Young Bob Jones, then 6, was present at the opening reception on that summer afternoon in the company of his father, “Colonel” Robert P. Jones. The elder Jones, already an active member, later served as president of the club from 1937 – 1942 and as a director for 38 years (Bob himself later also served as president from 1946-47). East Lake Golf Club was named the permanent home of the TOUR Championship by Coca-Cola in 2005. 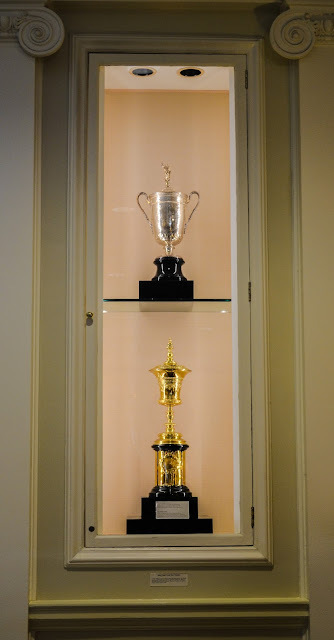 It is the culminating event of the PGA TOUR Playoffs for the FedEx Cup, with only the top 30 players on the points list qualifying each year. Now you might ask why we are promoting golf? What has this has to do with happiness, or mindful living? 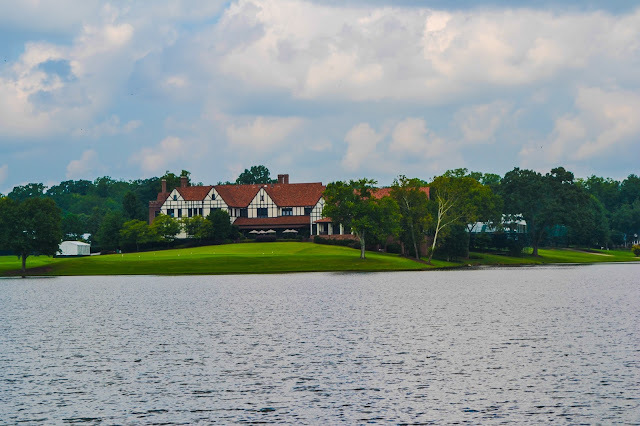 In 1993, a local charitable foundation purchased East Lake with the intent to restore it as a tribute to Bobby Jones and the club’s other great amateur golfers. The East Lake Foundation used the renovation as a catalyst for revitalizing the surrounding community. The East Lake Foundation led the creation of an entirely new community – The Villages of East Lake apartment homes; Charles R. Drew Charter School, serving more than 800 children age 3 through grade 9; the East Lake Family YMCA; the Sheltering Arms Early Education and Family Learning Center; and the 18-hole public Charlie Yates Golf Course. 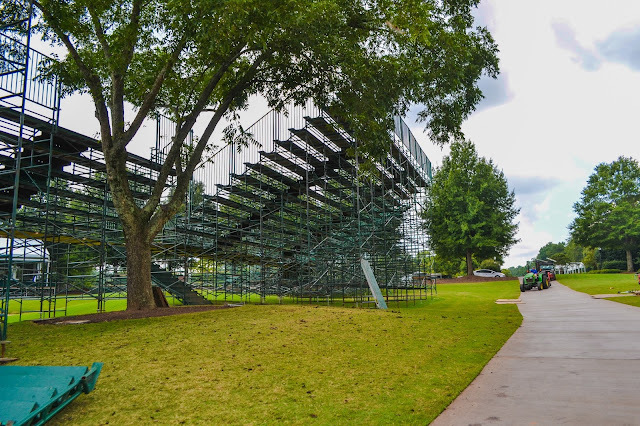 When you purchase tickets to the TOUR Championship you are helping the East Lake community. 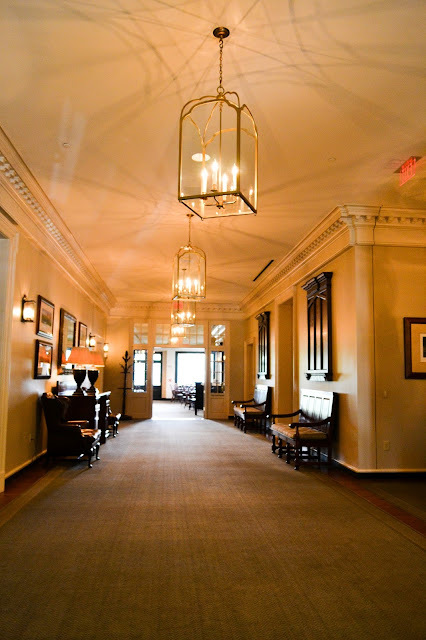 While the buildings of East Lake are beautiful, it’s what’s happening inside them that is truly impressive. By creating and funding educational programs, the Foundation helps families break the cycle of poverty. Hope is building in East Lake. Violent crime has been cut 95 percent, while school test scores and property values have surged. East Lake has become a community where every child – and every family -- has a chance to succeed. This year’s Opening Ceremony will take place at 11:00 a.m., before the first group tees off. The Ceremony will focus on the topics of “Hope and Tradition” at East Lake. 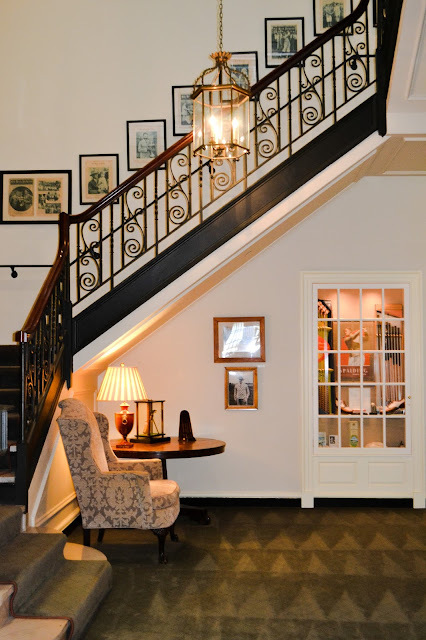 Dow Fisterwald will represent “Tradition” – Fisterwald is best known for winning the 1958 PGAChampionship. 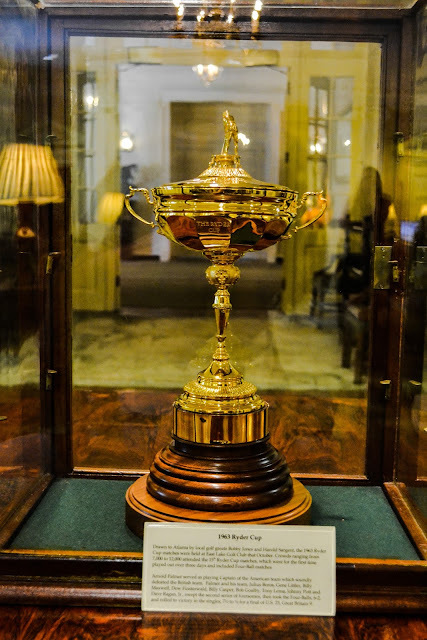 He won 11 Tour titles between 1955 and 1963, played on four Ryder Cup teams, and served as non-playing captain for the 1977 U.S. Ryder Cup team. 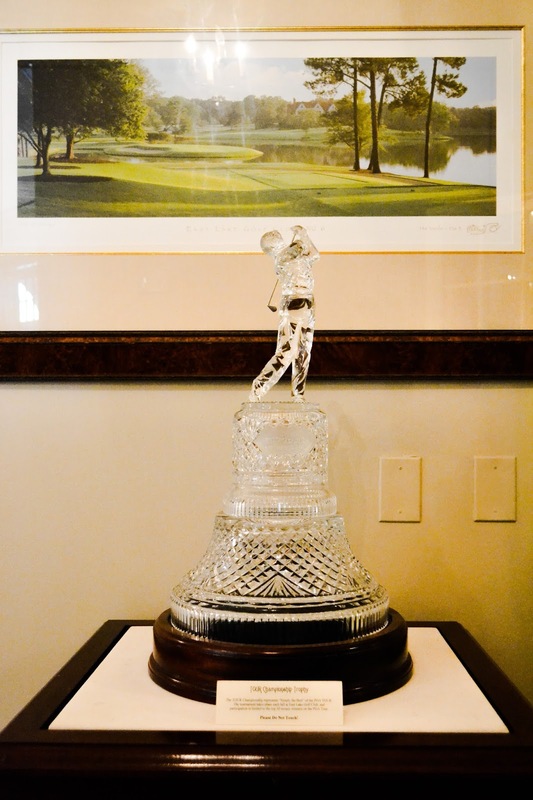 “Hope” will be represented by a youth from The First Tee of East Lake, name TBD. 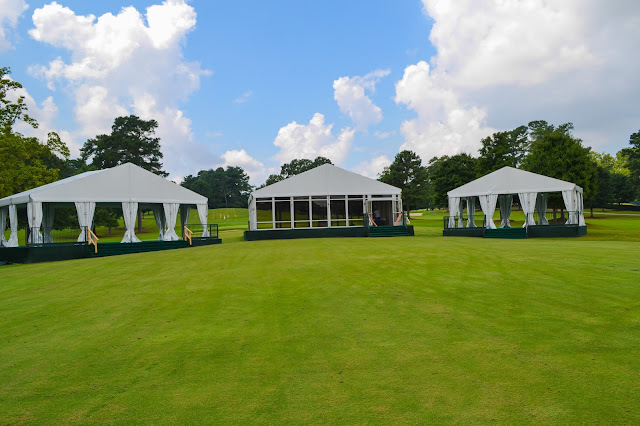 The Ceremony will also include attendees such as VIPs from Coke, Southern Company, and the military, Commissioner Finchem, Mr. and Mrs. Cousins and an emcee from the Golf Channel. Friday, Sept. 20, 7:30-10 a.m.
Web.com, a TOUR partner and a leading provider of internet services and online marketing solutions, will be holding an interactive, free Small Business Forum and breakfast for Atlanta small- and medium-sized businesses. The Small Business Forum will focus on helping small businesses learn how to successfully market their business online. Web.com Ambassadors will be available to answer questions after the presentation. 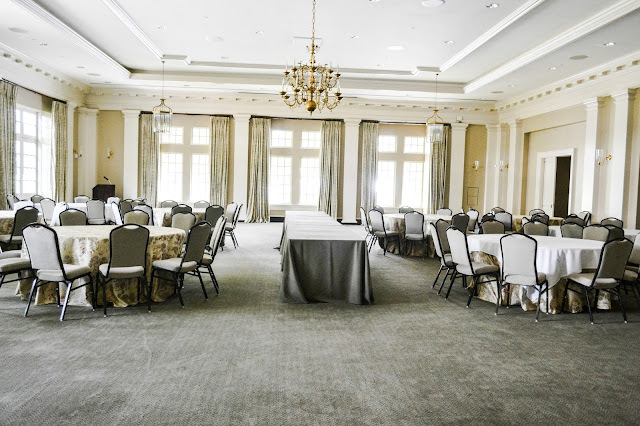 The Executive Women’s Day at the TOUR Championship by Coca-Cola will bring together influential women from the metro Atlanta community to engage in topics focused on personal and professional development, while highlighting the tournament’s charitable beneficiary, the East Lake Foundation. The ceremony will begin with the introduction of the General Chairman, Rob Johnston, who will introduce Dow Fisterwald and the representative from The First Tee of East Lake. These tee shots will be followed by the playing of our national anthem by the military band from Ft. Benning, Georgia. To conclude the ceremony a military jump team will parachute down onto the first tee. 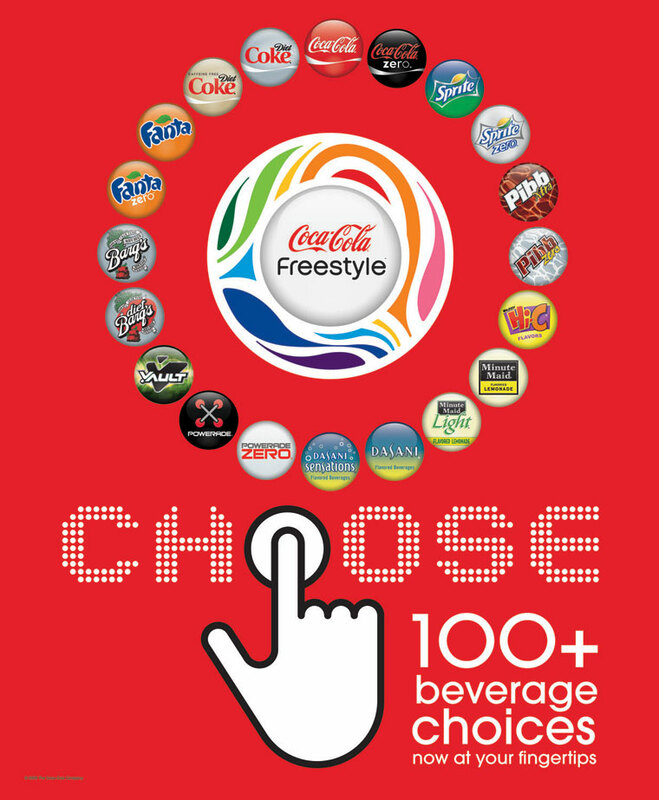 Coca-Cola Freestyle is the revolutionary, touchscreen-operated beverage dispenser that offers people unprecedented choice, more than 100 brands -- including waters, sports drinks, lemonades and sparkling beverages -- from a single unit. Fans at the TOUR Championship by Coca-Cola will have these seemingly unlimited options at their fingertips as Coca-Cola Freestyle will come to the TOUR Championship via the Coca-Cola Freestyle truck. Want a raspberry Sprite? How about a Vanilla-Cherry-Coke Zero? Strawberry Root Beer? It’s all available at the Coca-Cola Freestyle truck which will be located the 18th Tee Box. Calling all inquisitive kids! Chevron is hosting the “STEM Zone” for students, a customized hospitality area dedicated to Science, Technology, Engineering and Math (STEM) education. 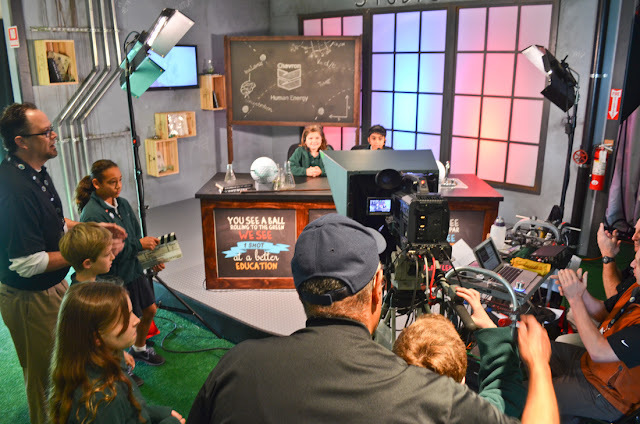 The STEM Zone is designed to inspire students to learn about the science of sporting events, with a fully equipped, mock studio – including teleprompters and a green screen – giving kids an interactive broadcasting and media experience. 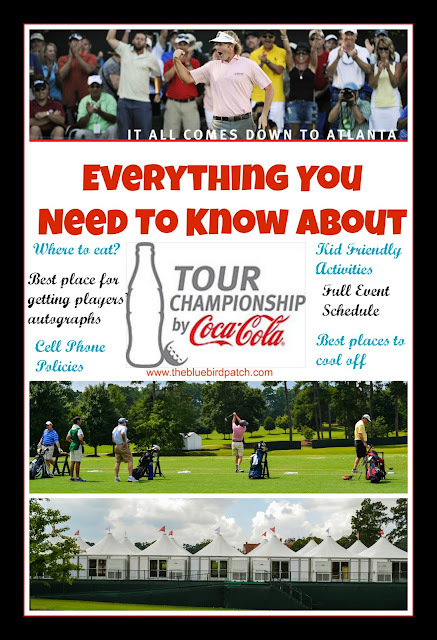 Wednesday, September 18, 8 a.m.-6:30 p.m.
Community Day at the TOUR Championship by Coca-Cola will take place on Wednesday, September 18. 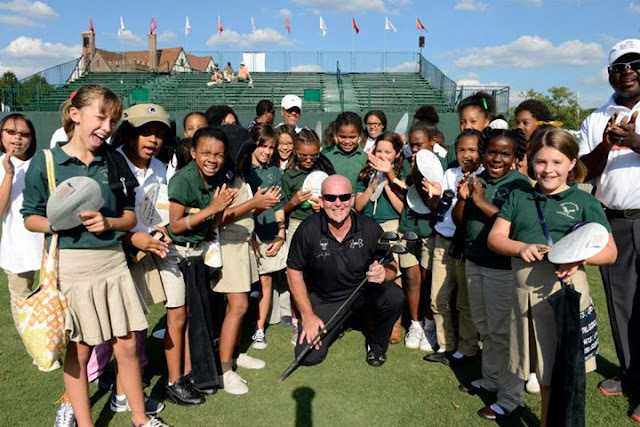 The event is comprised of a series of engaging activities for the youth of Atlanta, military personnel, and golf fans of all ages. 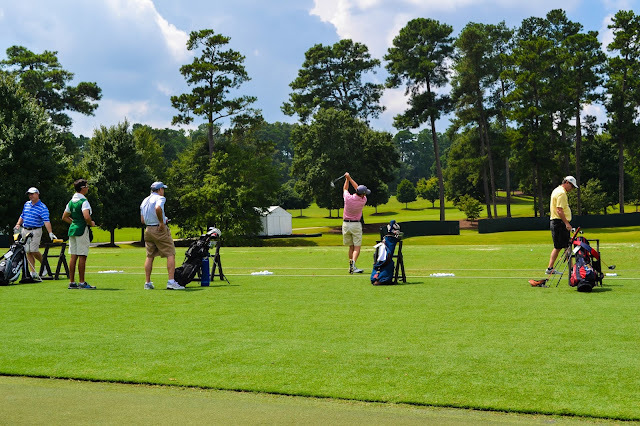 The TOUR Championship’s First Tee Youth Clinic at 4 p.m. at the practice range with Dennis Walters. 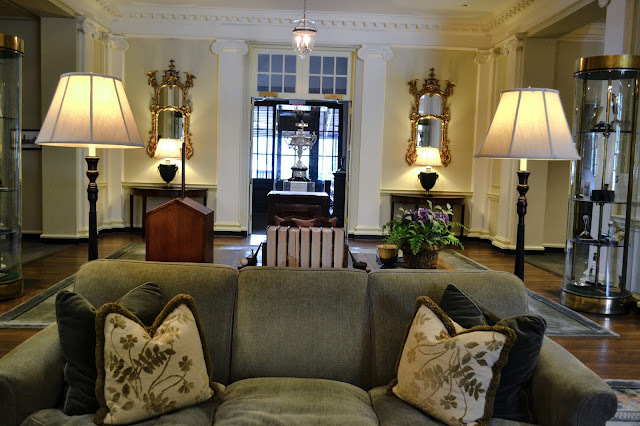 Youth 18 and younger are admitted free of charge when accompanied by a ticketed adult courtesy of Southern Company. There is a limit of four children per ticketed adult. 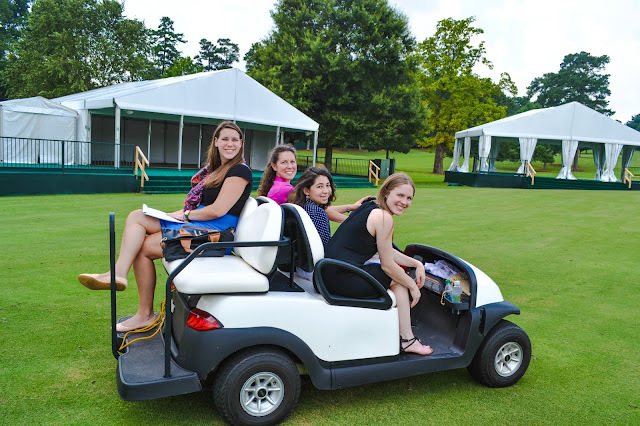 This means a family of four can attend the TOUR Championship, but only pay for the adults! New this year! The Chick-fil-A Bowl College Corner is a 300-person venue, available only through the Chick-fil-A bowl partnerships, and will surround the No. 11 tee box, creating a stadium-like atmosphere with views of the 10th green as well. 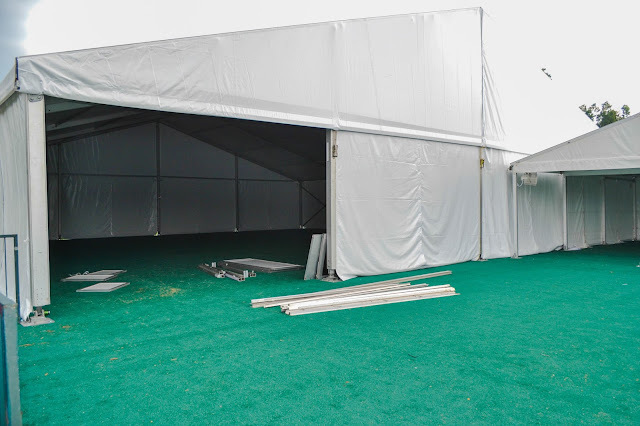 The open–air, covered facility will include a tunneled walk-way for players to enter the 11th tee. 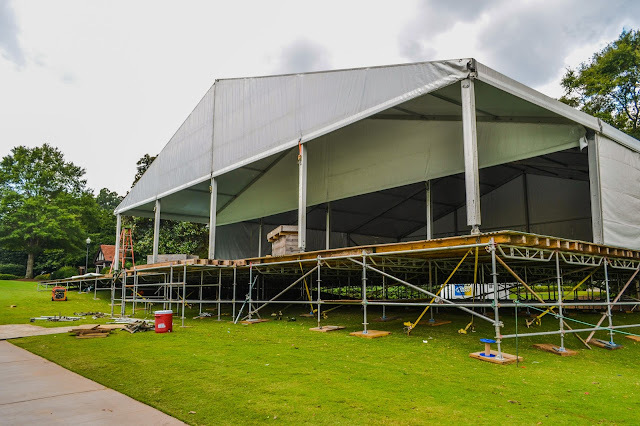 With a tailgate-like atmosphere that includes traditional tailgate foods like bratwurst, hamburgers, hot dogs and more, outdoor games, a sports-bar area, the Chick-fil-A Bowl College Corner will bring a little college football flavor to the TOUR Championship. Golfers, college athletes and coaches may all be seen in this area. The tournament is asking all spectators to show their school spirit on Friday by wearing their college colors. Players themselves will also show their college pride by wearing their school colors. Thanks to two high-powered sporting events for making this unique partnership possible. The PGA TOUR wants fans attending the TOUR Championship to stay connected to their lives, their work, their friends, their families and the tournament itself. The TOUR Championship permits fans to bring their cell phones into the tournament as part of the PGA TOUR’s mobile device policy. However, there are several guidelines that spectators should know as they bring their phones to this year’s event. Phones must be in silent mode at all times – you don’t want to be the person whose phone rings in the middle of Phil’s backswing, do you? 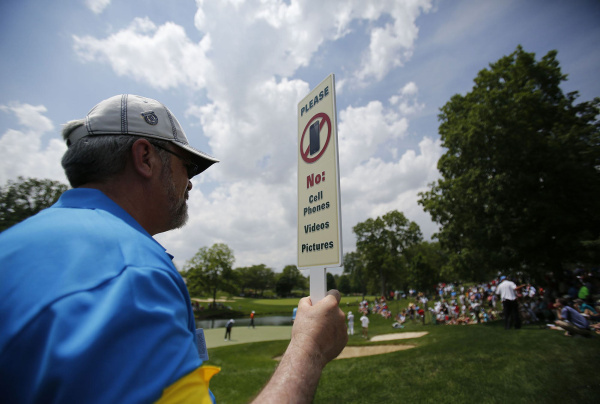 Fans will be allowed to receive and send messages, check data and access PGATOUR.COM on the golf course away from play. No video recording is permitted at any time during the week. No photography will be permitted during official competition rounds. We know you want to get that great picture of one of golf’s biggest stars. Just do it on Wednesday. Once the competition begins, taking pictures of players can be quite the distraction and can actually take away from the competition. 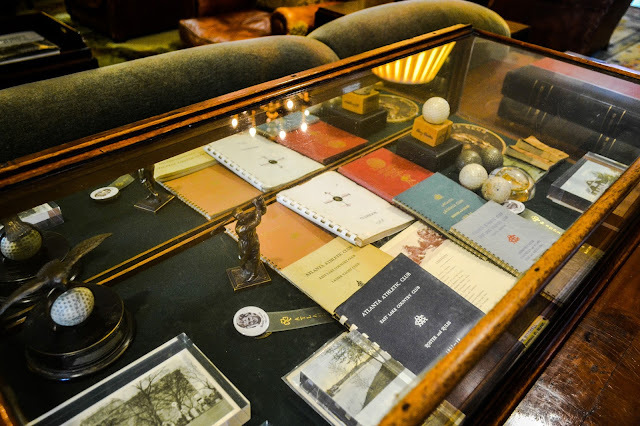 These days, there is a definite modus operandi to getting your favorite player’s signature on whatever item it may be – tournament program, ticket, golf ball, your shirt, etc. What’s the best way to accomplish the feat? 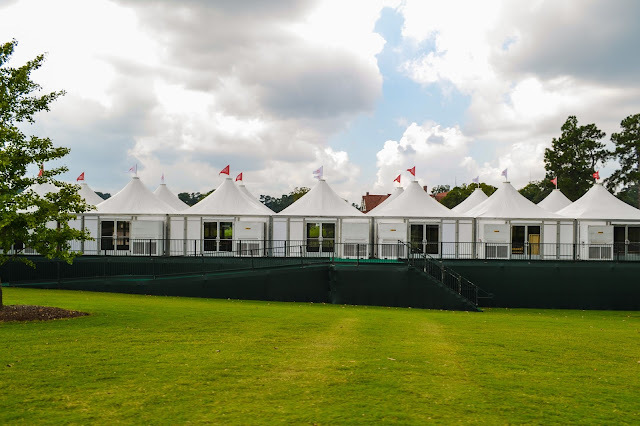 The best place to get an autograph at the TOUR Championship by Coca-Cola is behind the 18th green by the Clubhouse as the players finish their round Thursday-Sunday. Most players who finish their round will walk the fence-line signing autographs on their way back to the clubhouse. Fans will be able to participate in a joint program of Coca-Cola and the American Academy of Family Physicians called My Health Wish. The program aims to encourage all those on site at the TOUR Championship by Coca-Cola to make health a priority and to visit FamilyDoctor.org for credible answers to their health questions. The Wish Wall will be located near the driving range for players, caddies, spectators, volunteers and tournament staff to sign and announce their health wishes for themselves, friends, family members or the community. Wishes will also be solicited by the tournament’s twitter account (@PlayoffFinale). Fans who cannot attend the event to personally write their wish on the wall can, instead, use the hash tag #MyHealthWish on Twitter and tournament staff will add the wish to the wall. 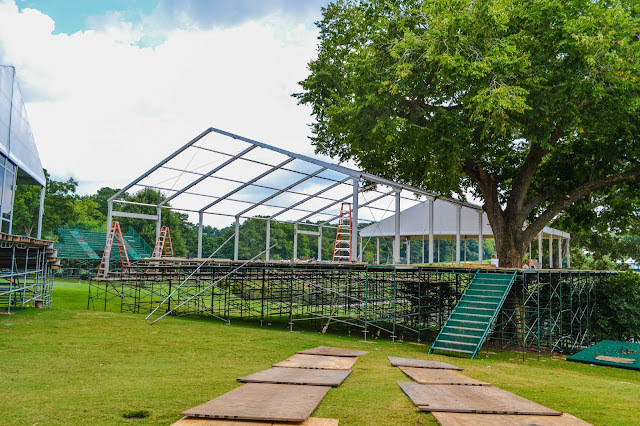 Humana Inc, one of the nation’s leading health care companies, is taking steps – literally – to encourage golf fans attending the TOUR Championship by Coca-Cola to improve their personal well-being. 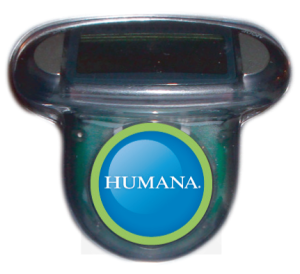 Through the Humana Walkit program, golf fans attending the tournament will be registered for free pedometers at stations located on the course and encouraged to track their steps throughout the week. 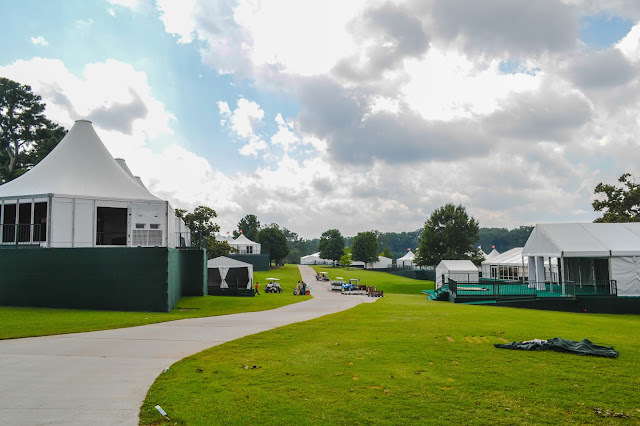 Walk-it stations will be open Thursday through Sunday in the Southern Company Pavilion. 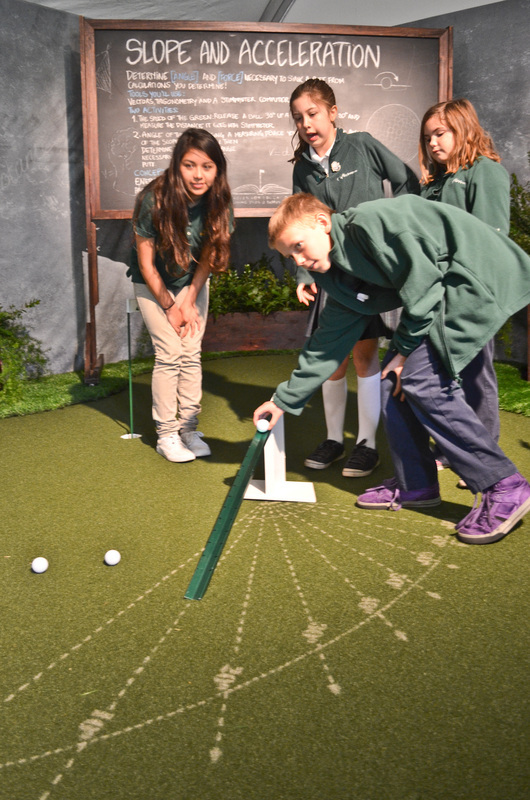 The tournament whose fans, volunteers, staff members take the most steps in 2013 will receive a $30,000 KaBoom playground to donate to the charity of their choice. With no home stadium or home locker room, you wouldn’t think PGA TOUR players would have the luxury of consistent medical care or training facilities as they travel the TOUR. But thanks to the VisionWorks PGA TOUR Mobile Health and Fitness Centers, world-class service and facilities are available to the best players in the game each and every week. These mobile unites travel from tournament to tournament so that players can find top-level training and medical care wherever they may be on the TOUR schedule. 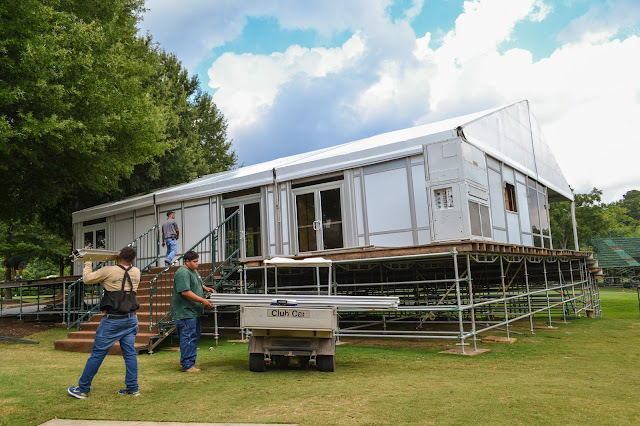 Two semi-trailers are on site at each PGA TOUR event to assist players with workouts, rehabilitation and stretching. Toward this end, several therapists and fitness trainers are on site to assist with player health and fitness needs, even on the course if need be. Be sure to visit the PGA TOUR Pavilion powered by Southern Company at the main tournament entrance and check out interactive exhibits from Southern Company, the Bridgestone performance park, PGA TOUR Superstores, Charles Schwab, VisionWorks, Canongate Golf Clubs, Nature Valley, First Data and Humana. The TOUR Championship by Coca-Cola is more than a golf tournament and a showcase of elite golf and a world-class facility. The TOUR Championship week is filled with activities that highlight the “good side of sports,” most notably, a commitment to honoring the men and women who serve in the U.S. military. All week long, active duty and Reserve military members, military retirees and their dependents will be provided with complimentary access to the tournament with a military I.D. shown at the gate. Once inside, all military guests, including veterans, can enjoy complimentary food and beverages, activities and great views of the 16th green in the Birdies for the Brave Patriots’ Outpost presented by Kipper Tool. 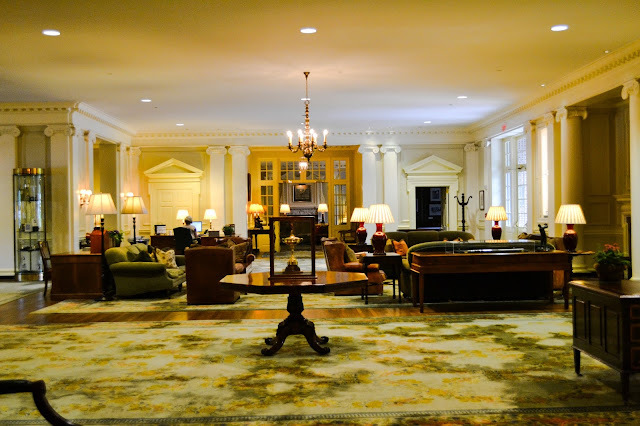 Designated exclusively for the military, this air-conditioned, high-end hospitality venue will be open from Thursday through Sunday. For more information, visit www.BirdiesfortheBrave.org. Thursday, September 19, will be designated as Military Appreciation Day, with a special military appreciation ceremony hosted on the first tee one hour prior to the first tee time. Festivities will begin at 11 a.m. and will be highlighted by the U.S. Special Operations Command Parachute Demonstration Team as well as the Albany Marine Band. Other military outreach activities will include a Callaway Warrior Club Fitting in which two local Atlanta wounded warriors will be fitted for clubs using the same process that PGA TOUR players competing in the TOUR Championship by Coca-Cola receive. The warriors will tour the Callaway equipment van, test out Callaway's products on a launch monitor, and get personal attention from Callaway's TOUR staff. At the conclusion of the event, each warrior will leave with a custom set of clubs to aid them in their rehabilitation through the game of golf. All parking for tournament week is FREE at Turner Field. There is no on-site parking. A FREE shuttle will be provided for transportation from Turner Field to East Lake Golf Club. Visit www.PGATOUR.COM/tourchampionship for more information.